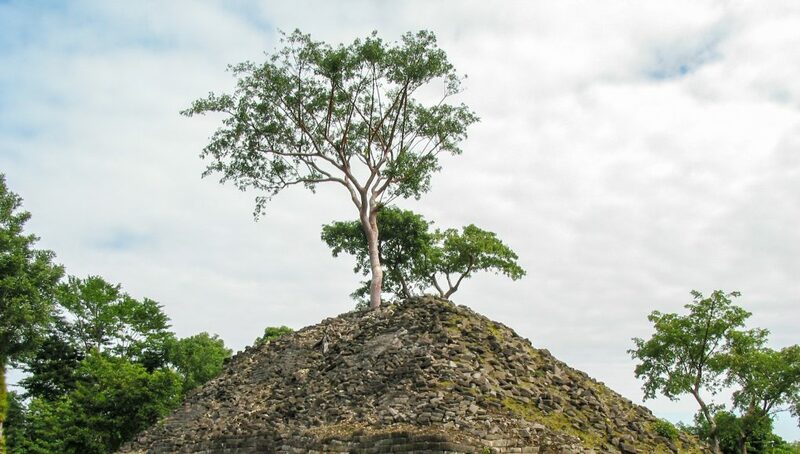 A well-established tree grows from the top of a pyramid at Lubaantun. 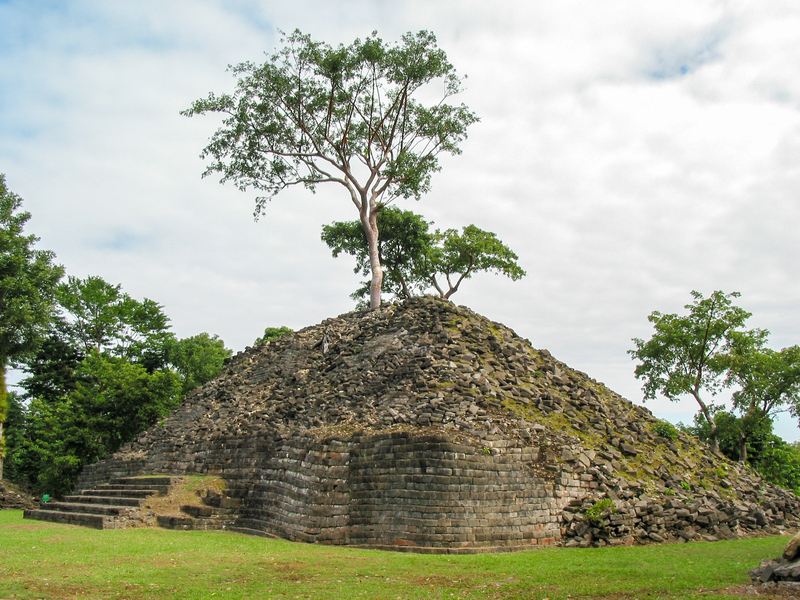 You can see round-corner style of the pyramid. Although the ruins at Lubaantun aren’t a secret, they’re not nearly as well known as those at Xunantunich, Lamanai, or Altun Ha because they’re situated in the far southern part of Belize, where until recent years few tourists traveled. When I was last there, in 2004, the main highway down in that part of the country wasn’t even paved all the way yet. 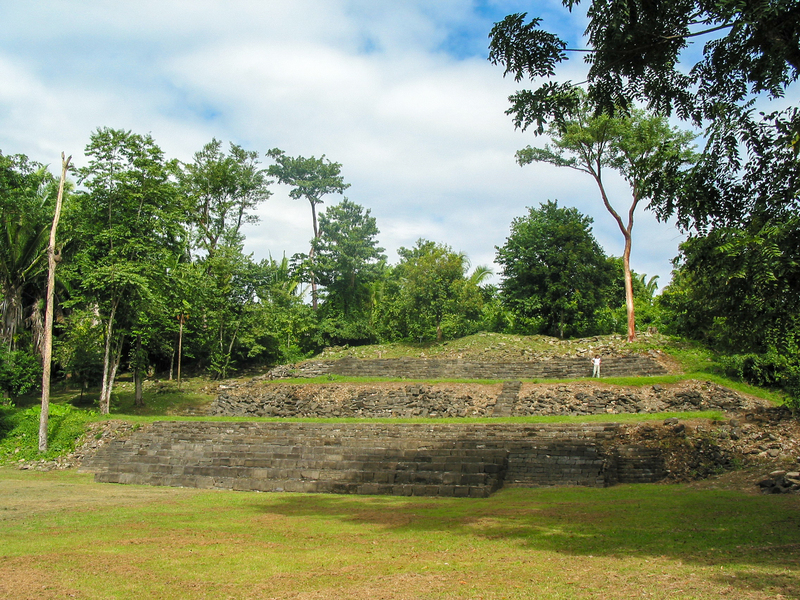 Archaeologists believe Lubantuun was populated during the Maya Classic era, between about 730 and 890 and that it was a trading and ceremonial center. The most notable aspect of Lubantuun is its name. 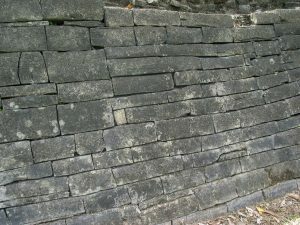 That’s not the ancient Mayan name of it, discovered on some well-preserved stela. Actually, Lubaantun translates in Maya as “the place of the falling stones” and it was given that name by Anglo archaeologists in the early 20th century because of how the structures are crumbling. The true name of the city is still unknown. The structures are Lubaantun are different than those scattered across the Yucatan and central Mexico because they’re constructed of fitted stacked stones that have no mortar or other binding to hold them together. As the earth around them settles, they’re prone to collapse. So “Lubaantun” is an appropriate, if not authentic, name. 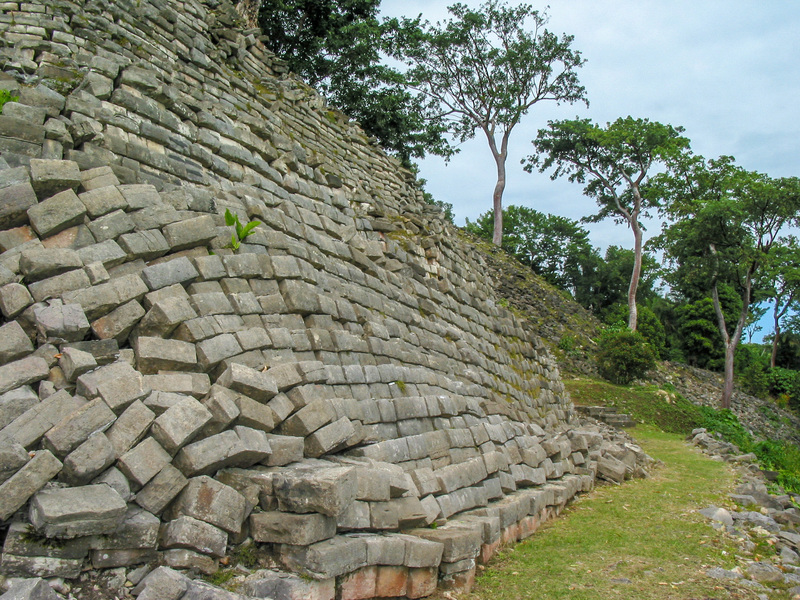 Although no well-preserved stela or other writings have been found there, Lubaantun is famous for the small ceramic ocarinas, or flutes, that are found there. 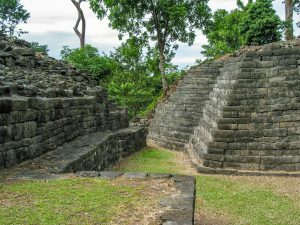 Two adjacent structures at Lubaantun, showing the fitted, stacked stones of their construction and one of the curved sections. The terraces leading up from The Great Plaza (Plaza V) at Lubaantun. 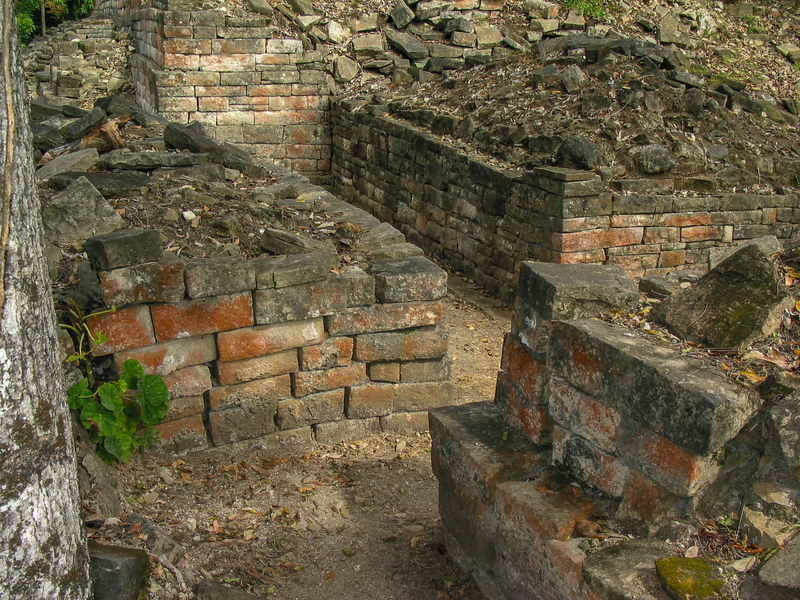 Stone corridors and passageways at Lubaantun that may have been rooms under wood and thatch walls and roofs. 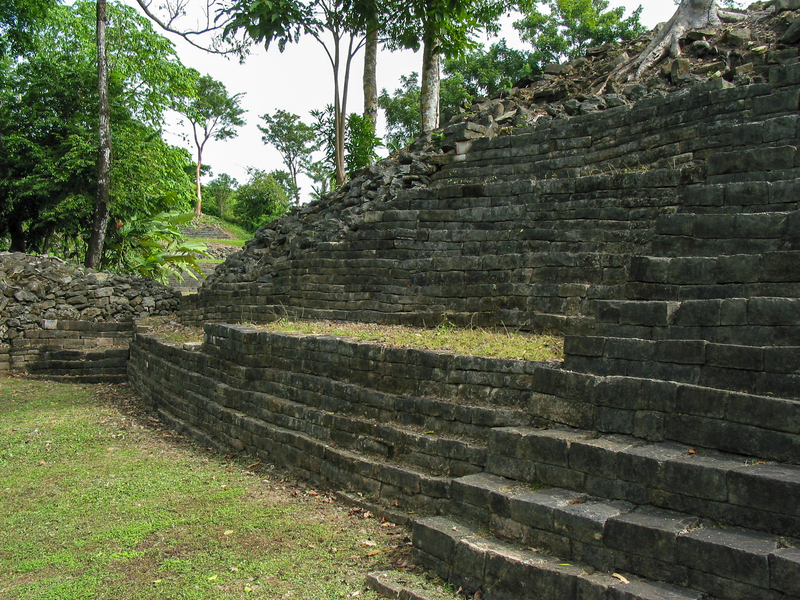 Stairs and landings on a structure at Lubaantun. 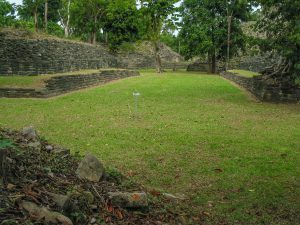 One of the main ballcourts at Lubaantun. 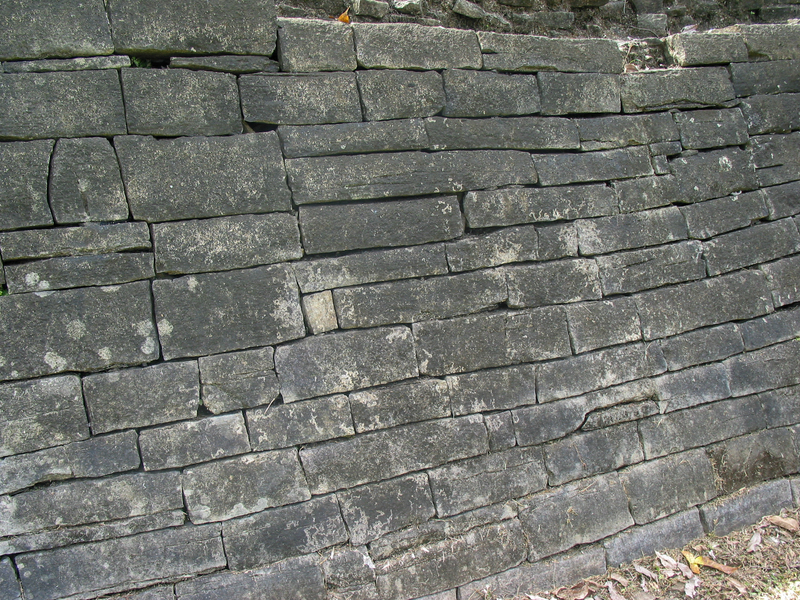 The construction at Lubaantun was unusual compared to other Maya sites because they didn’t use mortar or any binding between the stones.